https://d2wldr9tsuuj1b.cloudfront.net/20422/slideshows/homeCustom1920x900/slideshow_01.png Find Your Way...The Conventual Franciscan Friars welcome you--as pilgrims, brothers and sisters on a sacred journey to a holy place! About St. Anthony is truly a universal saint, respected and venerated even by non-Christians. He is especially known as the patron saint of the lost, for all throughout his life he restored things back to people who had lost them. History The rich history of relationships surrounding the property on which the Shrine of St. Anthony sits extends all the way back to the founding of the colony of Maryland. 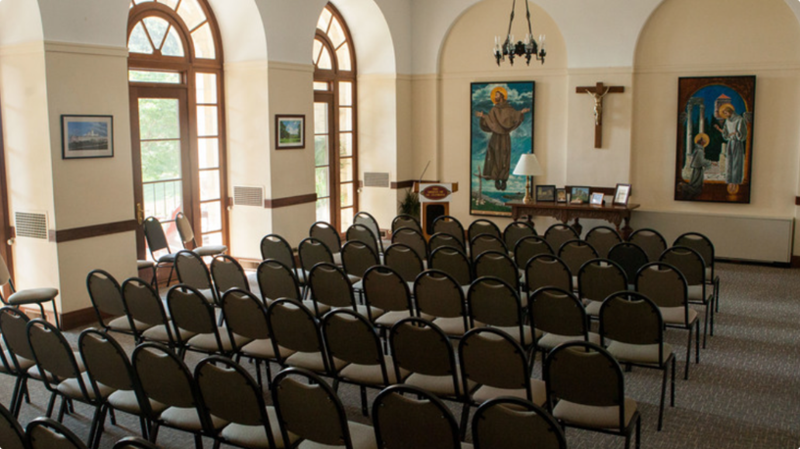 Make a Gift Your gift to the Shrine will help guarantee strong ministry in the Franciscan tradition continues into the 21st century. Won’t you join us? Consider making a gift today. All payments can be processed online with all major credit card providers. 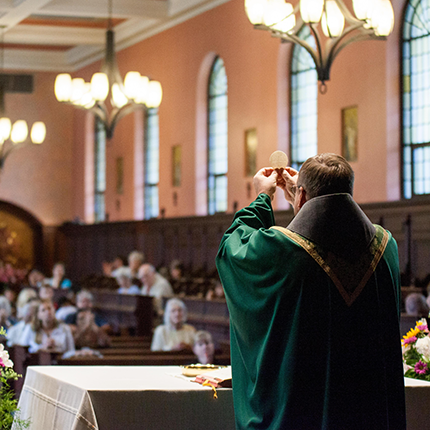 This Sunday Mass includes a Healing Prayer Service at the end of the Liturgy! Enjoy a fly-through view of The Shrine of St. Anthony and make a visit! See a gallery of photos of the Shrine. Miracle-Worker is the usual word that describes St. Anthony. This appellation was not just a posthumous honor given to him by his devotees when he was canonized in 1232, just less that a year after he died, but a real recognition of his spiritual powers even while he lived and preached God&apos;s Word among the people. As the apostles and prophets performed signs and wonders in biblical times, so too did St. Anthony during his lifetime which came as a result of his great love for God and the profound compassion he had toward the poor and suffering. St. Anthony taught us by word and example that love is truly capable of doing great feats just to obtain whatever love desires. Great place to bring the whole family. Wonderful outdoor stations of the cross path. Enjoy a quiet moment with the Lord! This Shrine will make you feel like if you are in Assisi! The Shrine and the area is a delightful and serene experience, there&apos;s a walkway along the way of the cross , the iconic statue of St Antony and the heretic along the drive way,a trail which leads to a 9/11 memorial , a small water fountain pond that overlooks the adjoining farm and you can see several cows grazing, it&apos;s an absolute nature retreat out here, and don&apos;t forget to check the gift shop too! Picturesque buildings and landscape. A good place for quiet reflection and photos! The Shrine Chapel and the grounds are open daily 9am-5pm. All are Welcome! Sign up to get interesting news and updates from the Shrine of St. Anthony delivered to your inbox.